West Coast Office National « West Coast Business News & Directory. Welcome to West Coast Office National. 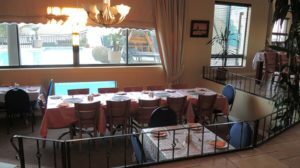 established more than 30 years ago. West Coast Office National is 30 years old, and has gone through numerous name changes in that time, can you remember DOWS, Vredenburg news agency, VNA stationers and printers. West Coast Office National services the west coast from Langebaan to Picketberg and for a 100km radius around Vredenburg. We offer a free delivery service within this radius restriction, and a courier service if you are outside of the West Coast. For your convenience we have an online order system, where you can see all the prices without picking up the phone, your order is automatically added to your statement and your stationery order is dispatched to you sometimes the sameday. With the recent released of our second furniture catalogue West Coast Office National is now your one stop stationery and office supplies company on the West Coast. With an Office products catalogue printed twice a year we keep you upto date with prices and product changes in the stationery arena. If you would like to receive a no obligation FREE office product and stationery catalogue with over 3000 of your favorite stationery items then simply fill in the online form and we will send you a catalogue. Darren Barker established West Coast Stationery in 2004, and now form part of Office National the largest independent owned business to business provider of office products in South Africa. Office National takes your business seriously. We are committed to providing your procurement solutions that are efficient, convenient and economic. Office National is all your business needs. 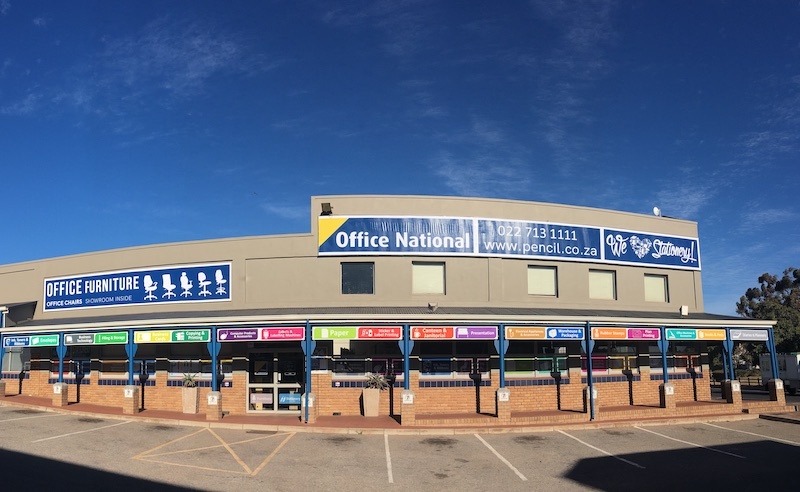 Office National is the largest independently owned business to business provider of office products in South Africa.That’s over 500 staff in over 56 locations around South Africa. You get the value of local expert knowledge and national purchasing strength. 100% South African owned and operated. We encourage you to browse around our online catalogue, where we offer you over 2 500 products from stationery to top quality computer products, wide variety of office machines, superior business technology supplies and NOW we have even made ordering your office beverage a click away. From maps to office furniture, Office National strives to bring you the best quality product at the most competitive price. View products online or request a catalogue and order today. Fast and effective delivery offers you a low stock level option, so you only have to order what you need. Office National are a powerful buying group adding state of the art technology to help you keep your business profitable and competitive. We are committed to provide you with the most competitive prices without compromising on quality. 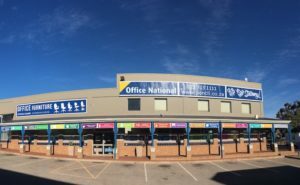 Office National would like to offer you as the customer a ONE STOP Business Solution when it comes to your everyday stationery and consumable requirements. “We have more than 2 500 office must haves in our online catalogue. They range from pencils and paper to everything you need for your computers. Heck, even your coffee is just a click away. Our clients tell us our products are great, and they like the prices as well. We deliver fast so you don’t need to stuff your shelves, because ours are already stuffed. We are the biggest group of office products fanatics in South Africa. That’s over 500 staff in 57 towns all over this country. You get local expert knowledge and national purchasing prices.